Northampton-born Willey has been included in the 15-man provisional group for the tournament which starts at the end of next month, but England have also named a 17-man squad for the forthcoming warm-up ODI series against Pakistan. The two extra players named in that group are Chris Jordan and Jofra Archer, who has been called up to the ODI squad for the first time. The 24-year-old, was born in Barbados but has an English father and holds a British passport. He completed a three-year qualification period on March 17 and is available for selection. National selector Ed Smith has confirmed England will be will not be finalising their World Cup squad until after the series against Pakistan, meaning competition for places is still very much alive. The selectors have rested Moeen Ali, Jonny Bairstow, Jos Buttler and Ben Stokes for a one-off ODI against Ireland in Malahide and the Vitality IT20 against Pakistan. Chris Woakes is also not included and will manage his workload leading into a busy summer while playing for Warwickshire. Sam Billings and James Vince have been added to the squad for the one-off ODI in Ireland and the IT20 against Pakistan at Cardiff. Players selected in the squads, who are currently playing in the Indian Premier League, will return to England on or before April 26. England will finalise their final 15-man World Cup squad after the five-match Royal London ODI Series against Pakistan, which culminates at Headingley on Sunday, May 19. National selector Ed Smith said: “In line with ICC regulations, we have to name a preliminary squad of 15 for the ICC Men’s Cricket World Cup before April 23. “However, all 17 players named in the Royal London ODIs against Pakistan can stake a claim to be in the final 15-man squad, finalised at the end of that series. “The selection panel has been impressed with Jofra Archer’s performances in domestic and franchise cricket. He is a very talented and exciting cricketer. Willey has been a regular in the England white ball set-up for three years now, and will be hoping he will get the nod for the tournament. 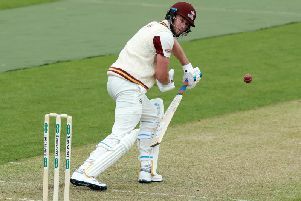 He came through the ranks at at Northants, and broke into the England scene while still a County player, before signing for Yorkshire in 2016. England, who will be captained by Eoin Morgan, are favourites for the tournament, which starts on May 30 when England take on South Africa at the Oval. England provisional 15-man squad for Cricket Woirld Cup: Eoin Morgan (Middlesex), Moeen Ali (Worcestershire), Jonny Bairstow (Yorkshire), Jos Buttler (Lancashire), Tom Curran (Surrey), Joe Denly (Kent), Alex Hales (Nottinghamshire), Liam Plunkett (Surrey), Adil Rashid (Yorkshire), Joe Root (Yorkshire), Jason Roy (Surrey), Ben Stokes (Durham), David Willey (Yorkshire), Chris Woakes (Warwickshire), Mark Wood (Durham). England 17-man squad versus Pakistan ODIs: Eoin Morgan (Middlesex), Moeen Ali (Worcestershire), Jofra Archer (Sussex), Jonny Bairstow (Yorkshire), Jos Buttler (Lancashire), Tom Curran (Surrey), Joe Denly (Kent), Chris Jordan (Sussex), Alex Hales (Nottinghamshire), Liam Plunkett (Surrey), Adil Rashid (Yorkshire), Joe Root (Yorkshire), Jason Roy (Surrey), Ben Stokes (Durham), David Willey (Yorkshire), Chris Woakes (Warwickshire), Mark Wood (Durham). 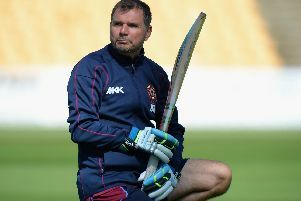 England 14-man squad versus Ireland ODI and Pakistan Vitality IT20: Eoin Morgan (Middlesex), Jofra Archer (Sussex), Sam Billings (Kent), Tom Curran (Surrey), Joe Denly (Kent), Chris Jordan (Sussex), Alex Hales (Nottinghamshire), Liam Plunkett (Surrey), Adil Rashid (Yorkshire), Joe Root (Yorkshire), Jason Roy (Surrey), James Vince (Hampshire), David Willey (Yorkshire), Mark Wood (Durham).